Old Cowtown Museum sits in the middle of the state’s largest thoroughly modern city, but gives you the chance to walk back in time through a slice of our historic small-town beginnings. 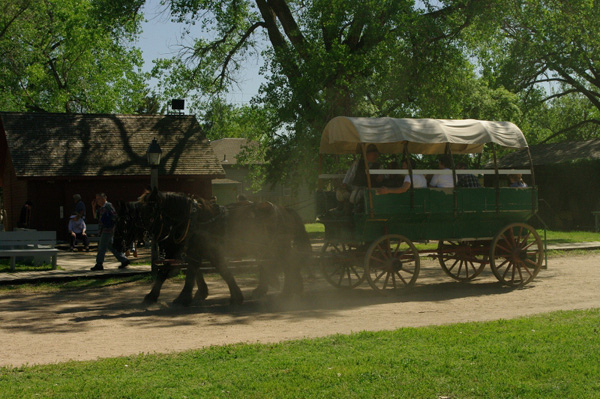 The re-creation of 1870s Wichita along the banks of the Arkansas River is a collection of 26 historic structures which have been re-located to the 17 acre park. It is very family friendly, easily accessible and gives a surprisingly isolated feeling in the middle of the city. Cowboys and Railroads built many Kansas towns. Places like Abilene, Dodge City, Newton, Ellsworth and Wichita all got their start when entrepreneurs figured out they could drive cattle up from Texas to the railheads in Kansas for quick shipping back to eastern markets. What followed was a boom and clash for these towns as early Kansans attempted to build established homes for their families while benefiting from and struggling with temporary influxes of cowboys and drovers. That place in time is the starting point for Cowtown’s story, but a variety of late 1800s history is covered at the museum. We recently visited the museum’s season opener event - a Civil War Day encampment. While there were not any real battles, historically, in Wichita, the big battle event on the museum’s farm field was great fun for my boys. Cowtown was full of re-enactors, dancers in the saloon, kids playing games on the farm and of course all those Civil War soldiers. One that caught our interest was an explanation of amputation surgery by a very informative period re-enactor in the meat market. For some reason, I find anything involving large knives and saws, particularly aimed at body appendages, are of great interest to little boys. They hung on every word she said. Among the buildings you can explore on a regular basis at the museum is the Munger House, which is Wichita’s oldest surviving structure, a one-room schoolhouse and Sedgwick County’s oldest jail. The museum “experience” includes exhibits on fur-trading days, the development of early industry at an operational grain elevator and a main street with all of the businesses you might have found in 1870s Wichita. There is also a homestead where kids can experience farm life. A cool side-note for our family is that my husband’s father once lived in the house that was re-located here as a part of the DeVore farm. That information brought a big thrill for the boys as they imagined what it might have been like for Grandpa to live on a Kansas farm. It was a little harder to explain that grandpa did NOT live in the 1880s, the house had been restored to its original form, and the big wood-burning stove was NOT what great-grandma used to feed her large brood. Cowtown is not the only place in Kansas where you can “walk back in time” to the 1800s, but it offers size, scope and convenience that make it a unique and worth-while stop. The cost is also very reasonable. Another benefit is location. You can visit Botanica- Wichita’s Botanical Gardens, The Wichita Art Museum, The Mid-America All Indian Center - which includes the incredible Keeper of the Plains statue and the cool science center Exploration Place all within WALKING distance of Cowtown. Nearly 10,000 volunteers helped make museum’s realistic experience a thrill for visitors last year. Check out their web-site for special events and re-enactment times to make this trip even better for your family. 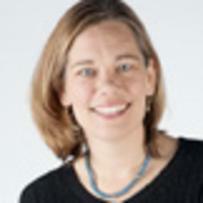 Karen Ridder is a freelance writer living in Topeka. A former News Producer for KSNW-TV in Wichita, her work can also been seen in print publications including: Topeka Magazine, TK Magazine and the Topeka Capital-Journal. She has written for several national blogs and was recently recognized as one of the 2011 winners in the Annual Kansas Factual Story Contest. Karen has lived in Kansas for 15 years and married a native Wichitan. Together they are raising three little sunflower boys and a dog named George. Karen Ridder is a freelance writer and former News Producer for KSNW-TV in Wichita, her work can also been seen in print publications including: Topeka Magazine, TK Magazine and the Topeka Capital-Journal. She has written for several national blogs and was recently recognized as one of the 2011 winners in the Annual Kansas Factual Story Contest.